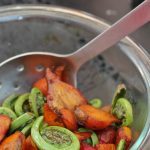 Sautéed Fiddleheads and Beets are glorious. Sometimes the simplest recipes are the best. Especially when you are hungry, and pressed for time. Our ebook, “I'm Hungry! What Should I Snack On?”, is designed to prepare you for these times in particular. 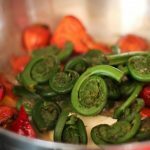 I adore fiddleheads, they are in the fern family; little baby ferns. But they can be expensive and hard to find. 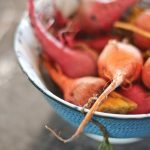 Feel free to substitute another vegetable or double the beets! 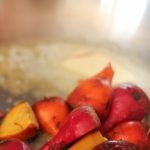 Place beets and half the water in a pan over medium heat, bring to a simmer, cover and let steam 7 or 8 minutes. Drop 1 tbsp. butter into pan and cover again for just 1 minute. 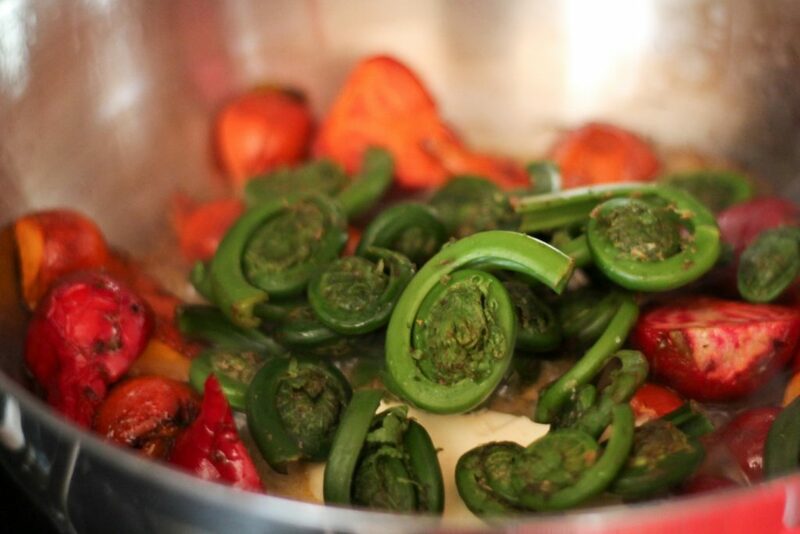 Stir in fiddleheads and the remaining water, cover and let steam 5 or 6 min. Drop the remaining butter in and cover again for 2 or 3 min. Stir to coat veggies with butter and serve. 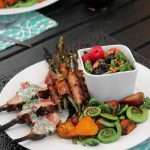 Sautéed fiddleheads and beets are great with grilled lamb and mint cream sauce and bacon wrapped asparagus. Wow this looks amazing! 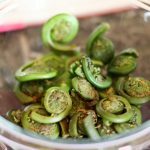 I’ve never seen fiddleheads before! Thanks! They can be hard to find, but so delicious, and simple!